Great news! 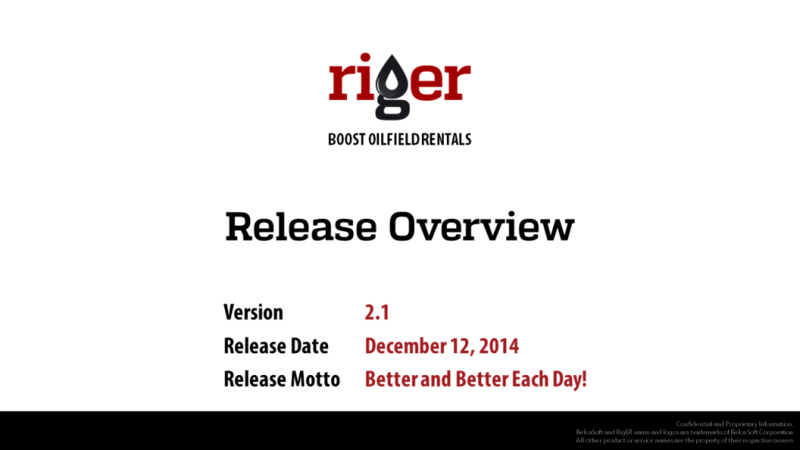 We are pleased to introduce RigER Version 2.1. 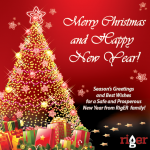 We have invested our time to make RigER Better and Better Each Day! 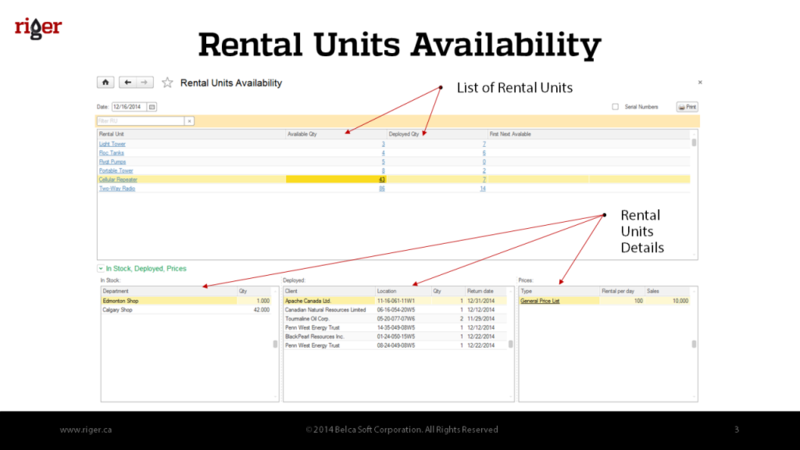 Rental Units Availability used by Fleet Manager and Dispatcher to manage and schedule rental jobs, make confirmation call and see detail picture of each serial number and rental unit. 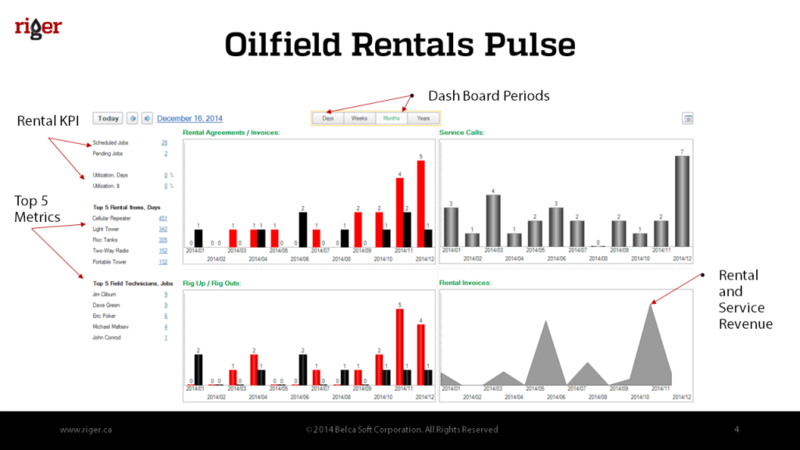 Oilfield Rentals Pulse shows operational pulse of your business. This dashboard designed for General Managers, Operations Managers, and Business Owners. This form makes your business transparent. 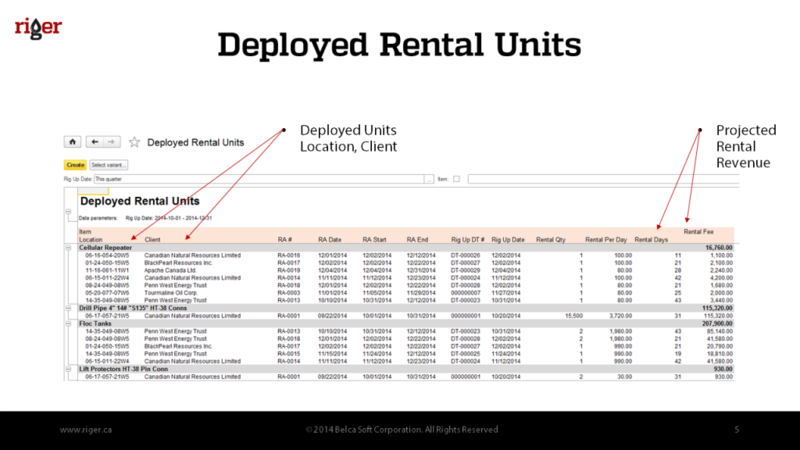 Deployed Rental Units report shows rental units deployed by LSD/Locations with all details as rental agreements, start and end dates, rental fee and projected rental revenue. 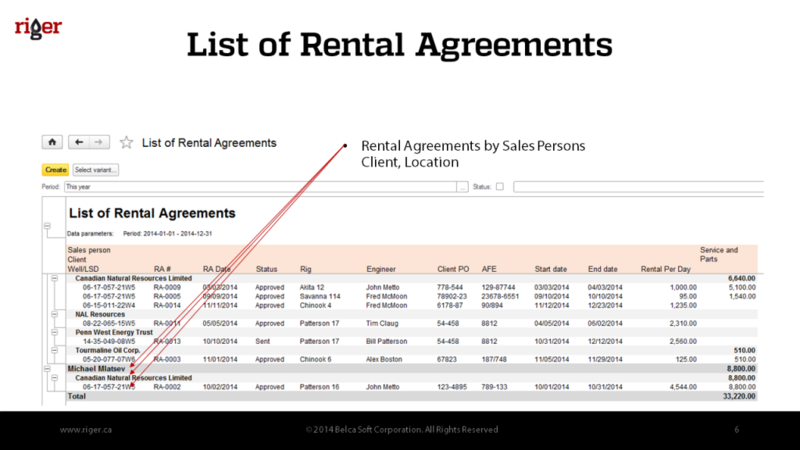 List of Rental Agreement report provides all information about rental agreement posted in selected period: Date, Number, Client, Status, Engineer, Client PO, AFE, Start and End Dates, Rental and Service Fees. 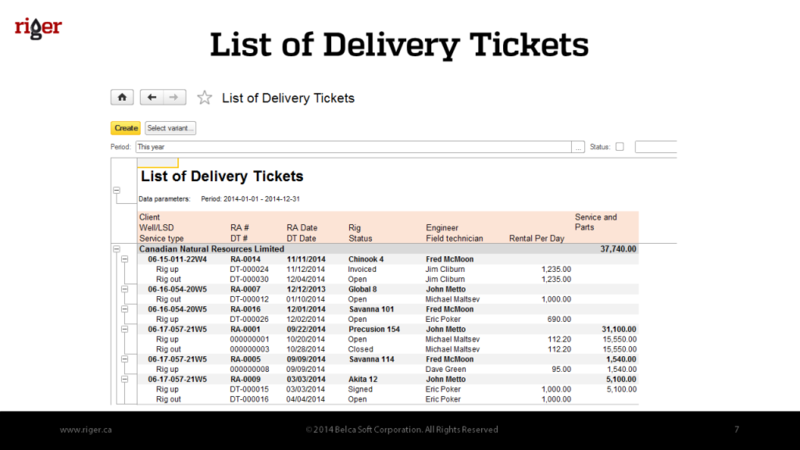 List of Delivery Tickets report shows all information about delivery tickets posted in selected period: Well/LSD, Service Type (Rig Up or Rig Out), Rental Agreement, Delivery Tickets, Engineer, Field Technician, Rental and Service Fees. So, you all the time know, who was the last person who see your lost equipment. 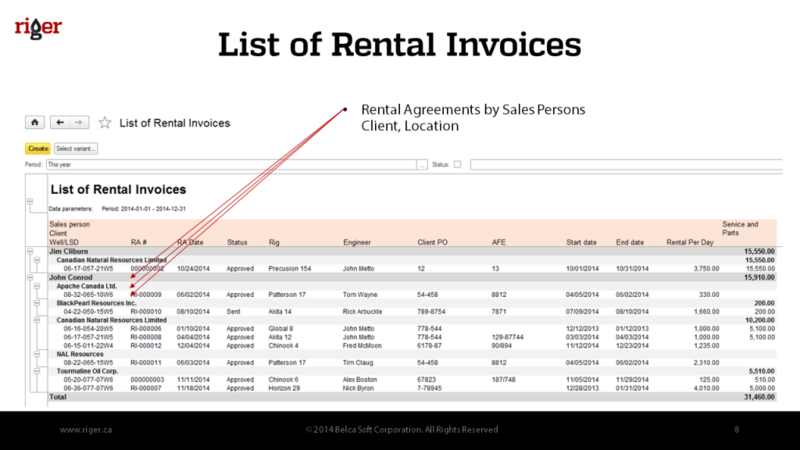 List of Rental Invoices report shows all information about rental invoices posted in selected period: Sales Person, Client, Rental Agreement, Status, Rig, Engineer, Client PO, AFE, Start and End Dates, Rental and Service Fees. 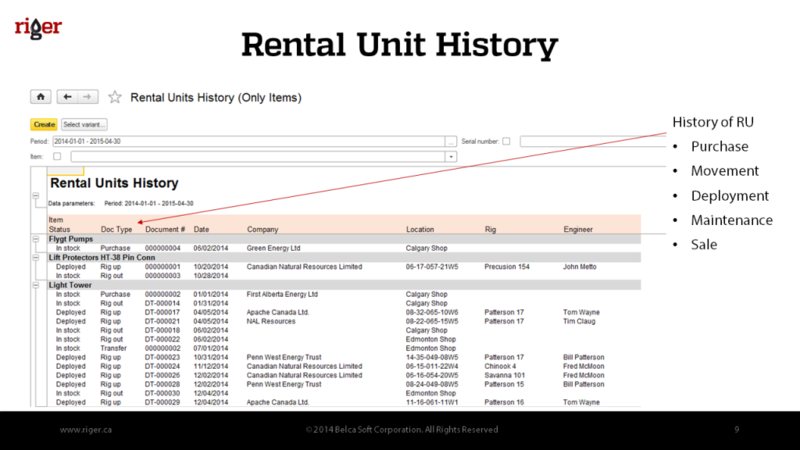 Rental Unit History report shows all movement of rental unit or serial number. 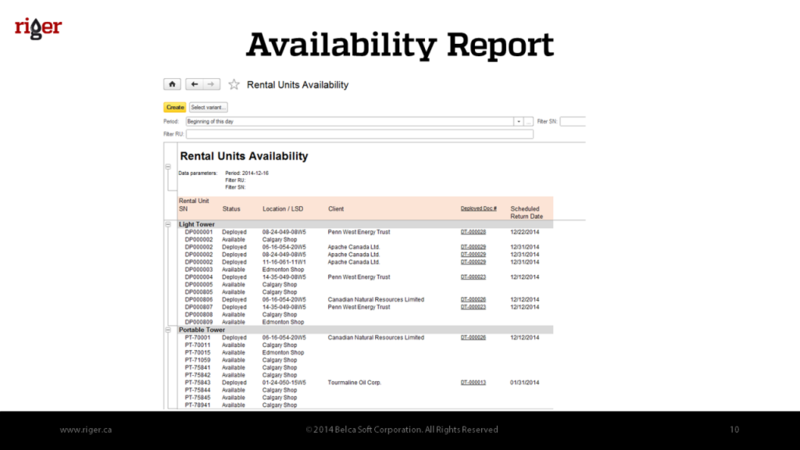 Availability report is the best way to find where your rental unit is. 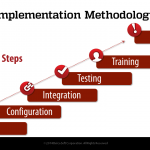 Utilization is the most important KPI for rental business. 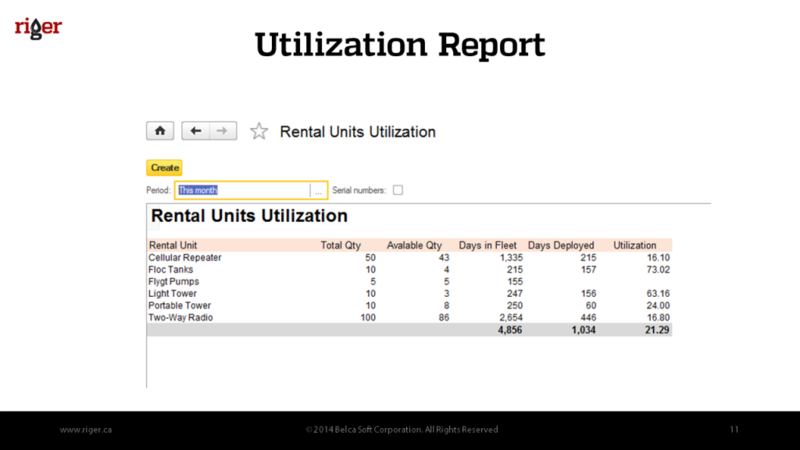 Utilization report shows rental units utilization and each serial number utilization based on days. There are some minor improvements in version 2.1 as well.